This was one of the worst flights we have ever been on. Poor planning on the part of American Airlines lead to unacceptable delays and violations of DOT regulations. Even more frustrating was that their customer service refused to take any responsibility for what happened. Anyway.. Moving onto the aircraft itself. Remember from my last post that on two cabin aircraft, the most forward cabin is named either business class or first class. 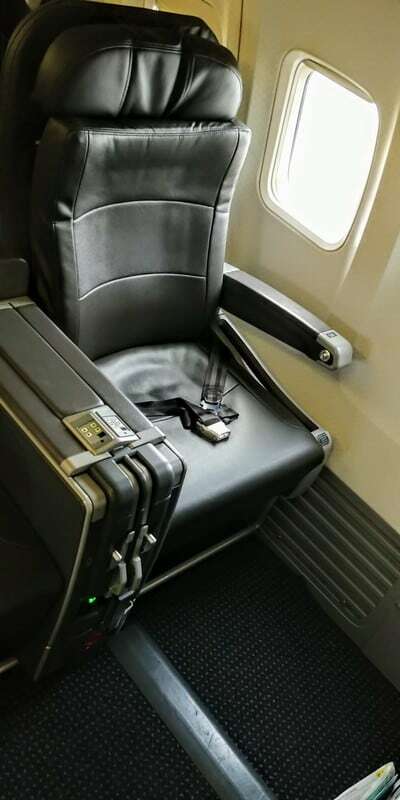 Since this was an international flight, AA called it business class. They fly the exact same 737-800 on domestic routes and call it first class. What is important to know is that when you are flying on a two cabin aircraft, the most forward cabin will be called either business class or first class, but no matter what it is called, you are getting the same thing! Adding to the confusion is that American Airlines flies two versions of the 737. The 737-800 (738) which I will review in this post, and the new 737 MAX. While the name may trick you into thinking the 737 MAX is the superior aircraft, this is not the case. The 737 MAX business class/domestic first class offers thinner seat padding which many frequent fliers found to be uncomfortable after several hours. Additionally there is about 3-5 inches less of pitch making for a less comfortable reclining experience. This flight from Miami to Curacao was the third flight in our three leg journey. Due to a thunderstorm in Miami, the entire airport shut down for several hours. We were lucky enough to land on our previous JFK-MIA flight, however we were unable to disembark from the aircraft for about two hours. Since the entire airport was shut down, this flight from Miami to Curacao was also delayed. We ran over and made it “just in time”, only to sit on that plane for another four hours. Se la vie. Making things even worse is what happened next. We pushed back from the gate and everyone cheered! We were free! The plane started taxiing down toward the runway, but then after about 3 minutes stopped and turned around. What happened everyone asked? We were notified after a short delay that the pilots would go illegal if we took off. What does that mean? I turned to google. We had sat at the gate for so long that the pilots would exceed their active duty period if the plane took off. So the plane turned back towards the gate, but our old gate had been taken by another plane! So we sat on the tarmac for another 1.5 hours while waiting to get back to the gate. During this entire situation, passengers were not provided adequate food or drink despite many requests. The stewardesses were either uninformed or lied to us about providing refreshments. Instead of being helpful, answering questions or providing refreshments, one of the stewardesses sat in the galley for the majority of the time, playing Tetris and scrolling through Instagram. What is most frustrating about this is that American Airlines, the pilots and air traffic control KNEW that the pilots would be going illegal soon. Why did AA not get new pilots while we were sitting at the gate for 3 hours? Why did we even push back from the gate if the pilots were going illegal? There are many unanswered questions. I sent an email to AA customer service and received this response. 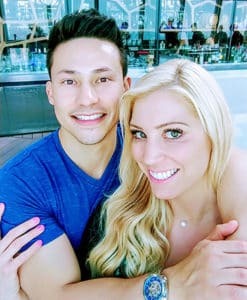 As usual AA took no blame for any of this. No accountability for the pilots, no response about the stewardesses who improperly managed the situation, lied to our faces and refused to provide us with refreshments even though it was DOT regulations. Remember your rights as a passenger. If you sit on the tarmac or at the gate for more than two hours they have to offer your snacks and water, if it has been more than three to four hours the carrier has to allow you to disembark (if there is no imminent danger to doing so). However they don’t have to allow you back onto the aircraft so be careful if you choose to disembark! After all this we made it back to the gate as AA desperately searched for new pilots. Jess and I headed straight to the AA Flagship Lounge for some de-stressing champagne and delicious food. 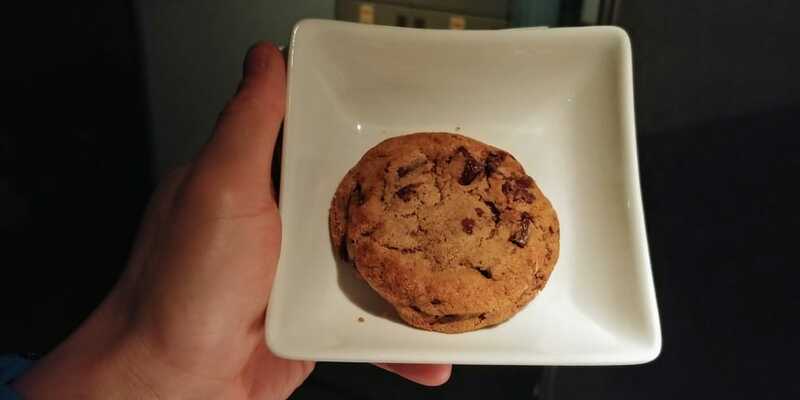 This was my first time to the AA Miami Flagship Lounge and it was fantastic. 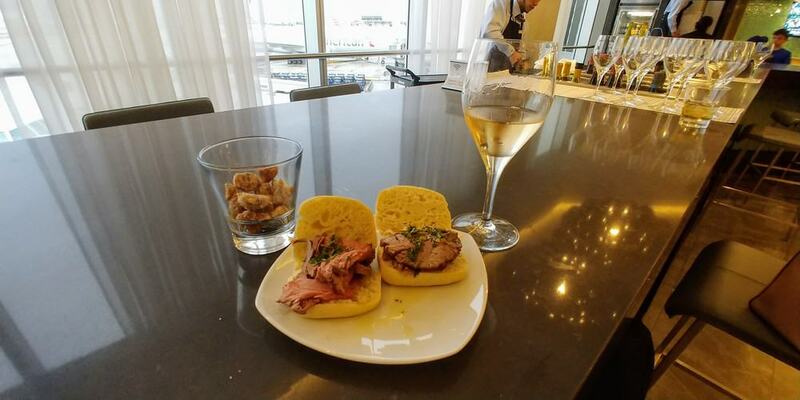 Even though the lounge was very crowded (due to the delays), there was plenty of fresh delicious food and bubbly champagne. This is the largest of the AA flaghsip lounges at almost 29,000 sqft. 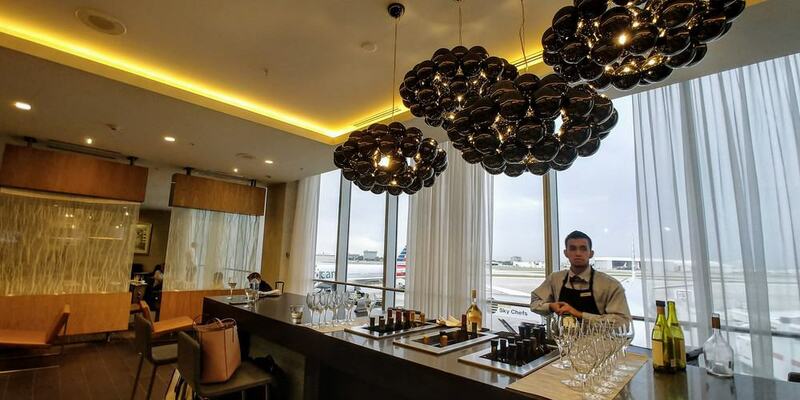 You can check out AA Flagship Lounge Miami for a full review. Two hours later we finally boarded our flight to CUR. The 737-800 (738) is a two cabin aircraft. The business class cabin has four seats arranged in a 2-2 configuration for a total of 16 recliner seats. The main cabin features 30 main cabin extra seats and 114 standard economy seats. Look how happy everyone looks after four hours on the tarmac. The reclining business class seats on the 738 offer 40-42 inches of pitch and 20.4 inches of width. This is 3-5 additional inches of pitch and about half in inch less of width when compared to the 737 MAX. 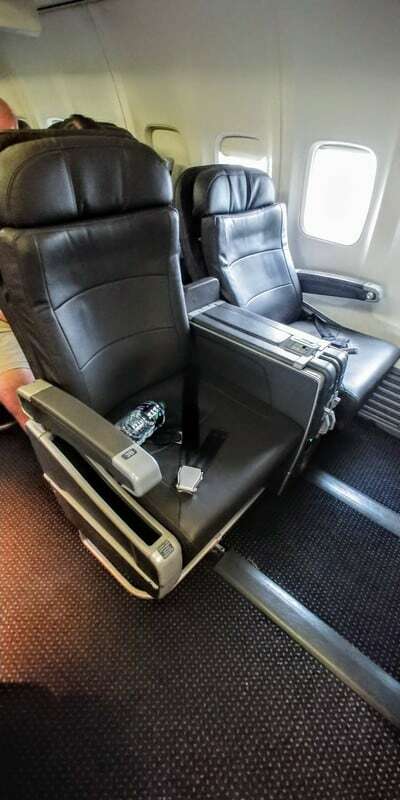 These seats are very similar to what you’ll find on AA’s premium economy on long haul aircraft. You can see the max recline here. It’s not much, but the seats were comfortable for recliners and had a decent amount of legroom. I personally like the bulkhead seats on the 738 when traveling during the day because there’s not a reclining seat in front of me and it feels more open. However when traveling overnight and attempting to sleep, I prefer the non bulkhead seats. 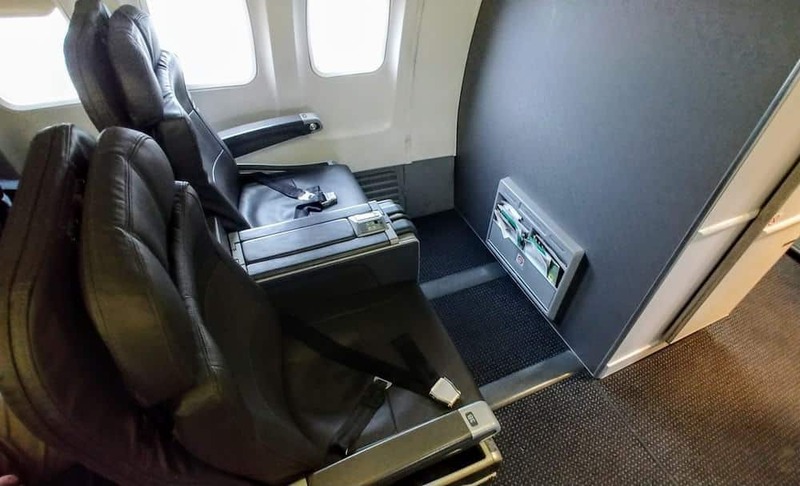 This is because I like to stretch my feet out when sleeping and the bulkhead seats actually offer slightly less legroom because your feat will hit the bulkhead. The non bulkhead seats give extra legroom under the seat in front of you. The armrest between the two seats came with the seat controls, a small beverage tray, and 3 prong US 110v charging outlet. The other armrest held the tray table. Unfortunately we had yet another AA 738 without IFE seat back screens. It is a complicated process to find out if your AA 738 will have IFE and you can only find out about 24 hours in advance once your aircraft is assigned to the route. So I don’t even check anymore and just bring my new Amazon Fire 10. Pro tip: download all your Netflix and Amazon Video shows to your tablet BEFORE you leave 🙂 That way you have hours of entertainment even if the flight doesn’t have WiFi. While we were stuck on the tarmac for over 2 hours, the flight attendants came by only once to ask us if we wanted a pre departure beverage. That one time was the standard pre-departure beverage call. 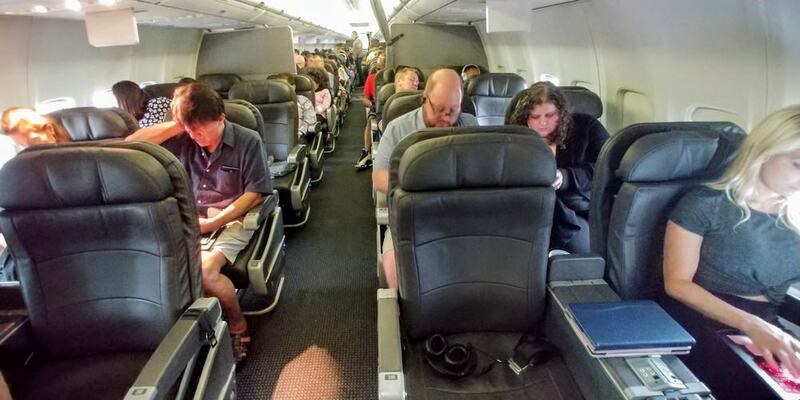 Not only should have there been a second round for sitting on the tarmac for over 2 hours, but the flight attendants sat in the galley playing on their phones and chatting the entire time. We had to go to them to ask for a second glass of water, throw away trash and ask for updates. By almost the three hour mark there were multiple passengers doing this, so I’m not sure why the flight attendants didn’t catch on. Unfortunately situations like this have become commonplace on US carriers. You are more likely to hear a flight attendant chatting than checking up on passengers, or playing on their phone rather than preparing the cabin. 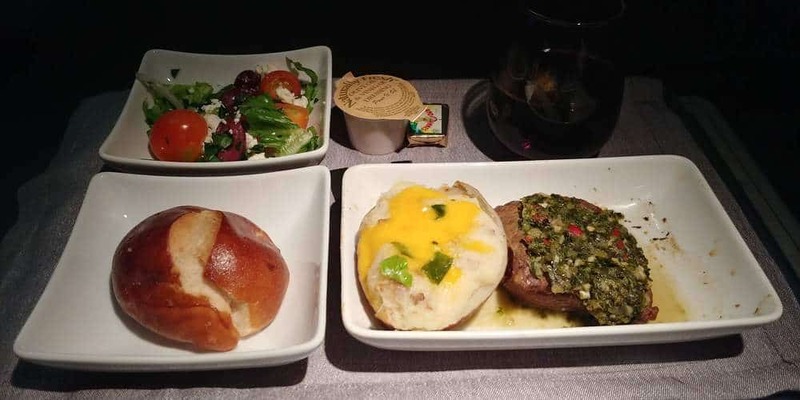 The food was decent for a short business class flight. I had the chimichurri steak with mashed potatoes. All meals came with a Greek salad and choice of bread. The steak was actually very tender and flavorful. Not as good as a steakhouse obviously, but very good for airline food. This was one of the worst flights we have ever been on. Poor planning on the part of American Airlines lead to unacceptable delays and violations of DOT regulations. Even more frustrating was that their customer service refused to take any responsibility for what happened. 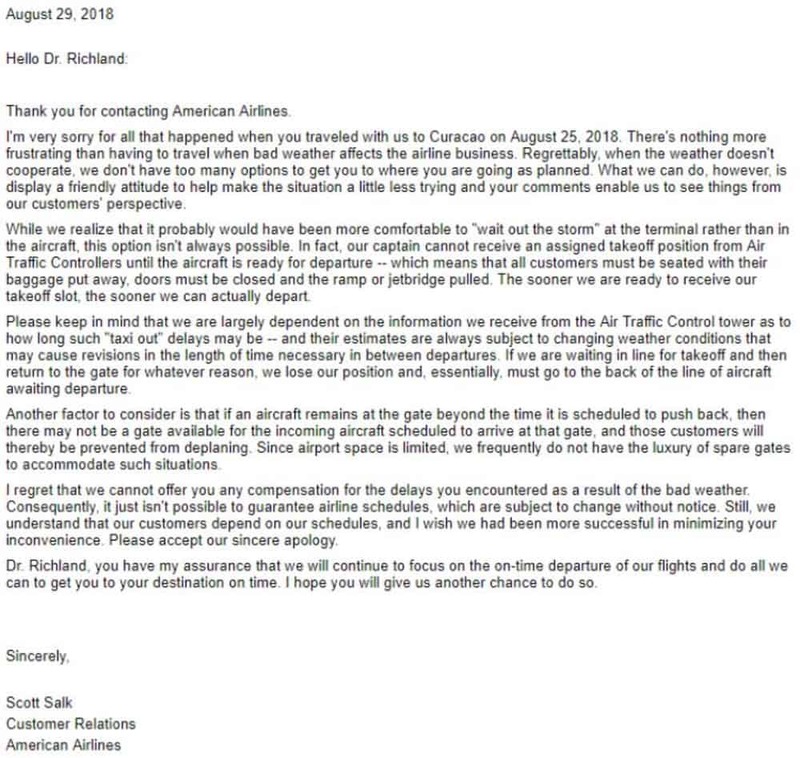 This is just one more of the many recent examples of how American Airlines lacks vision and leadership.